If you happen to be in the market for an affordable Android tablet, plus you don’t find yourself worrying about the amount of cores your processor has or what your display’s pixel density is, then maybe check out ASUS’ new 7″ MeMo Pad. For those familiar, and if you are reading this site I would hope you are very familiar, think of it as a Nexus 7 tablet minus a few of the specs. 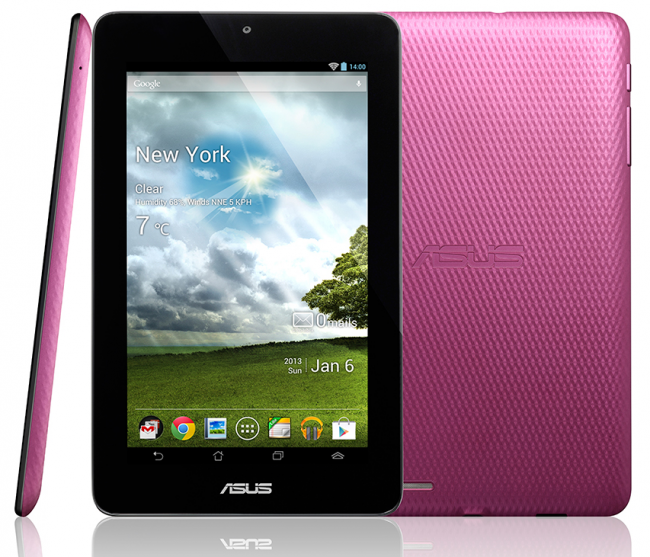 The MeMo pad rocks a 1GHz single-core VIA WM8950 processor, 1GB of RAM, 16GB of expandable storage, a 1-megapixel front-facing shooter and Android 4.1. It may not sound like much, but they are offering the device at just $160. However, keep in mind you can spend an additional $40 and get yourself a 16GB Nexus 7. Needless to say, nothing wrong with having some options while shopping.